Just what is it that makes today's homes different so familiar so uneasy appealing? In looking at the three biennials/triennials taking place in Norway in 2013, this text examines the approaches of the different curatorial teams and advances the notion of an 'ethics of collaboration' when assessing the biennials' relationship to its artists, its local institutions and its different constituent audiences. Jorunn´s sjøbod with Pedro Gómez-Egañas installation The Maelstrom Observatory, (2013) LIAF 2013. By serendipity, if not chronological coincidence, three 'biennials/triennial' were taking place in Norway in 2013, each with its own non-descriptive title. It should be six years till next time we have such a plethora of international art exhibitions, but the history of the different events suggests that it might be a one-off to have three such exhibitions in Lofoten in the North, Bergen in the West and Moss in the Southeast of the country. Adopting the faux-scientific approach prevalent in 'Bergen Assembly – An Initiative for Art and Research' let me briefly introduce the background to each of our 'case-studies'. Lofoten Art Festival was founded in 1991, and adopted an international profile in 1999, becoming LIAF. 'Momentum – the Nordic biennial of Contemporary Art' is somewhat of a misnomer: it is not the only Nordic exhibition of its kind (others include the Gothenburg Biennial, Copenhagen's 'U-turn Quadrennial' and the Luleå Biennial) nor is it bi-annual, having skipped an edition between 2000 and 2004 and a year between 2006 and 2009 since its establishment in 1998, when it emerged against the backdrop of Hans-Ulrich Obrist proclamation of a 'Nordic miracle', and its remit was to show artists from that region. Bergen Assembly is the first exhibition after the much-cited, anthology-producing Bergen Biennial Conference in 2009, which posed the timely question 'to biennial or not to biennial?' It is nominally a triennial, but maintained its Assembly title for the 2013 exhibition. All three had a team of curators (ok, Bergen, 'conveners'), which allows some common ground for a comparative analysis of the curatorial approach in each case - the remit for this text. LIAF employed a curatorial team consisting of Bassam El Baroni, Eva Gonzalez-Sancho and Anne Szefer Karlsen, after inviting individual submissions from 13 curators. The curators then (by their own admission) threw out their original proposals and set to work on a joint concept.2 The result was a curatorial point of departure that wanted to explore our current socio-political climate, playing on Richard Hamilton's title for his collage for the This is Tomorrow exhibition at the Whitechapel Art Gallery (1956): 'Just what is it that makes today's homes so different, so appealing'. The tension between unease and optimism was evident in a number of the works: from Oliver Ressler's brow-beating film Leave it in the Ground (2013) about climate change and drilling for oil outside Lofoten (a major political fault line in this year of Norwegian elections) to Mahmoud Khaled's strangely uplifting interview with Franco 'Bifo' Berardi, set against the backdrop of the funiculars of Rio de Janeiro and Jounieh in Lebanon with its lesson that failure should not be feared. 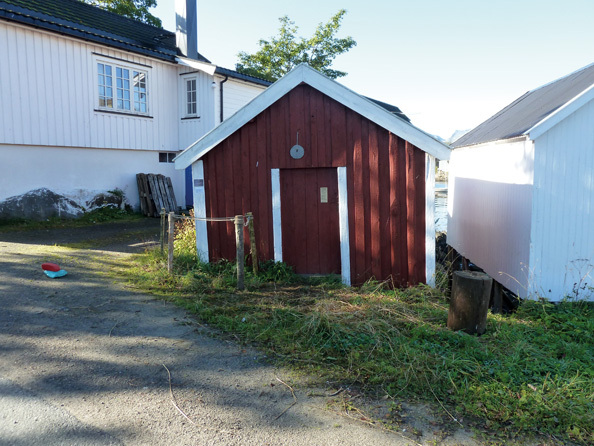 LIAF was spread across several somewhat unusual venues in the centre of Svolvær, at Svinøya, and in Kabelvåg, including the clubhouse of Lofoten Am Car Club and a small wooden sjøbod (shed) belonging to a woman called Jorunn. The organisational strategy of the science-fiction novel published by the Strugatsky brothers in the Soviet Union in 1964, which gave the Triennial its title, enabled greater freedom of for imagining alternative trajectories, histories and futures throughout the works in the exhibition, which stretched across 11 venues in the city of Bergen. For Bergen Assembly the two curators, Ekatarina Degot and David Riff, proposed 'artistic research' as their point of departure, which 'was understood performatively, as an eternal search'.3 Like LIAF, the curators invited examination of the current socio-political climate and speculation on alternative approaches. The organisational strategy of the science-fiction novel published by the Strugatsky brothers in the Soviet Union in 1964, which gave the Triennial its title, enabled greater freedom of for imagining alternative trajectories, histories and futures throughout the works in the exhibition, which stretched across 11 venues in the city of Bergen. Thus visitors were presented with documentation of an (imaginary) Angolan space program in Kiluanji Kia Henda's Icarus 13 (2008); the fictional den of an old-fashioned hacker in a new instantiation of Stephan Dillemuth's on-going project Society of Control; or three protagonists' intense search for the magical yoghurt starter for an ideal human existence in Dmitri Venkov's HD video Like the Sun (2013). Kiluanji Kia Henda, Icarus 13, Institute of the Disappearing Future, Bergen Assembly 2013. Photo: Nils Klinger. Each venue in Bergen acted as a chapter to the spatial 'book' of the exhibition, which created a coherent overall structure for the triennial. The different introductions to each bogus 'institute', each with its staple digital clock, potted plant and shiny bronze plaque felt a tad laboured, particularly given that all the Bergen museum venues had recently been rebranded (as KODE 1, 2, 3 etc.). The fact that these KODE numbers did not correspond to the number the Assembly had allocated to them made the whole navigation of those institutions difficult for any external visitor such as myself, and it was a relief to just refer to the venues by their original names Entreé, 3.14, USF etc. Studio Miessen was responsible for the exhibition design, which contributed to the visual identity of the triennial across the different galleries. Its plywood aesthetic was overly domineering in places – particularly in the section at KODE 1 or the Institute of Imaginary States, in which elaborate wooden structures were compounded by the inclusion of wood chips on the floor, which visitors had to wade through to get to the works. 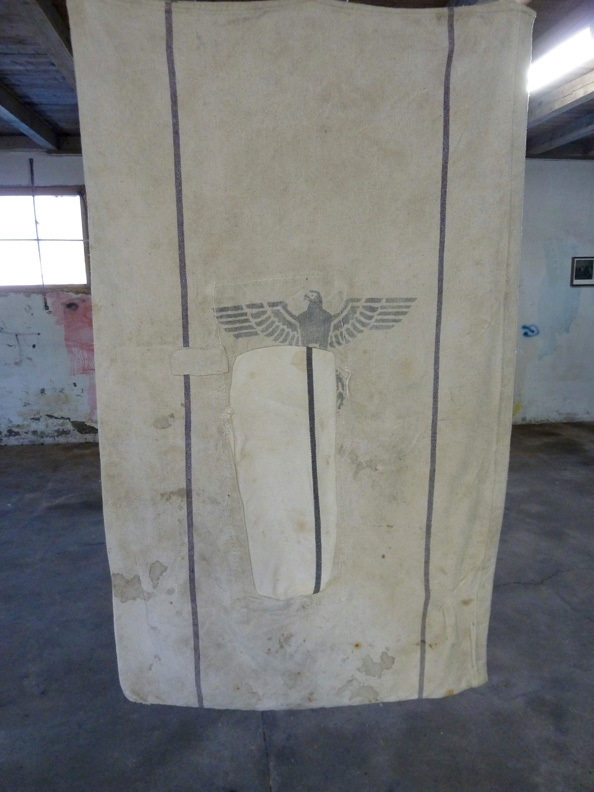 Pavel Pepperstein, Untitled, fra serien «Altars», Institute of Imaginary States, Bergen Assembly 2013. Foto: Nils Klinger. Compared with the sprawling nature of the Bergen Triennial and LIAF, Momentum came across as geographically focussed, being housed in the Momentum Kunsthall in the city of Moss and - unlike previous editions - featuring only tiny tentacles out into the urban fabric in the form of Victor Lind's flags dotted around the vicinity of Kunsthall. The two Momentum curators Erlend Hammer and Power Ekroth decided that their non-collaboration could be a curatorial gesture in itself, in which their different approaches could be juxtaposed. The biennial was organised as four separate sections: downstairs visitors were met with a noisy Tower of Babel (2011) by Goran Hassanpour, which bled into the open black box showing Hassan Khan's video Muslimgauze R.I.P. (2010), along with Hammer's painting section and his sculpture section above it. Jan Christensen wall-drawings in the staircase bridged the two levels of the Kunsthall. 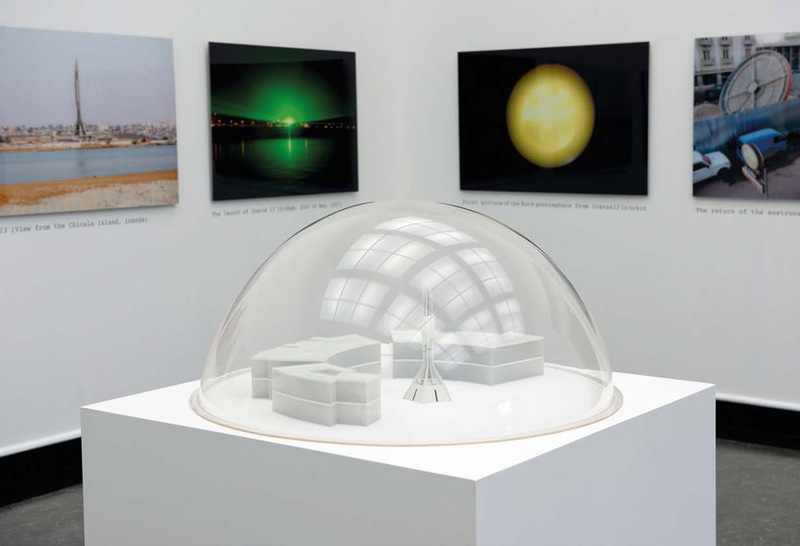 The catalogue was colour-coded in orange and pink to indicate each curators' section, nevertheless, upon first viewing the division of the biennial into two distinct curated exhibitions came across as confusing. 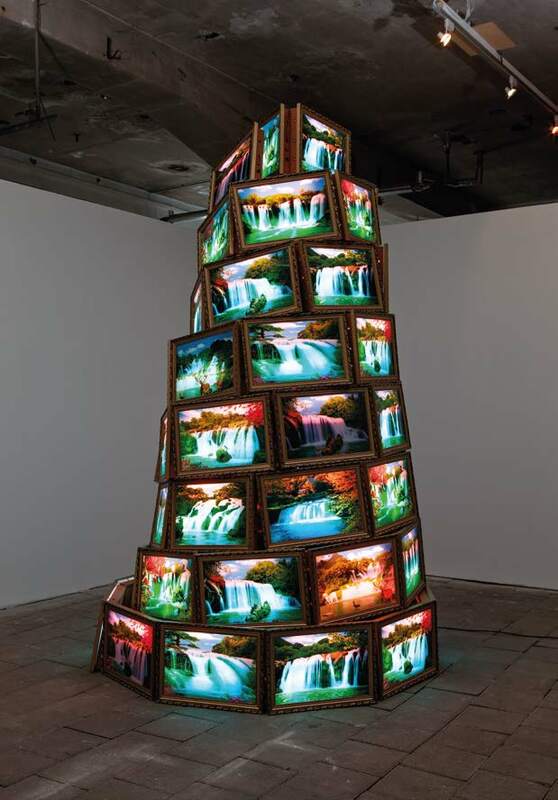 Goran Hassanpour, Tower of Babel (2011), Momentum7. Photo: Vegard Kleven. 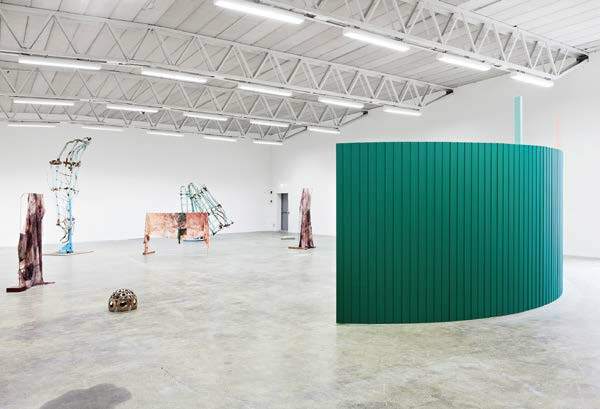 Hammer's section of the biennial foregrounded the formal nature of the works – largely painting downstairs and sculpture upstairs – displayed in the industrial white cube spaces of the Kunsthall, devoid of contextual devices in the form of a catalogue essay or wall-texts. A sheet of paper guided visitors to the 18 works spread across the first floor of the exhibition space, which included Knut Henrik Henriksen's three-meter wooden construction Villa Savoy redrawn with an Opel Astra 2006 (2012) that broke the geometric lines of white cube, alongside works by emergent Norwegian artists Ane Graff, Anne Mette Hol and Mai Hofstad Gunnes. The inclusion of these three, alongside historical works by the deceased Norwegian painter Charlotte Wankel in the 'painting section' downstairs, came across as a tacit nod to the centenary of female suffrage in Norway in 2013. Nevertheless, in keeping with the general muteness in terms of curatorial explication, this gesture was implied if at all present. Hammer's counter-part Ekroth, on the other hand, went in the opposite direction with some of the most verbose wall-texts seen in a while, and a labyrinthine exhibition design that drew visitors through specific rooms for moving image work – in the form of a compellingly complete installation in Stine Marie Jacobsen's case – to more traditional black boxes showing work by Clemens von Wedemeyer, Gabriel Lester and LouLou Cherinet. The Ekroth section culminated in a café designed by artist Bjørn Kowalski Hansen, evoking the logo of the abandoned Peterson Paper Factory in Moss, which served typically revolting Norwegian coffee. Momentum7, Hall 2. Photo: Vegard Kleven. Degot and Riff had previously collaborated on the Ural Industrial Biennial (2010) and Auditorium Moscow. The joint project PowerHammer is something that Momentum has chosen to foreground in their PR material, despite (or perhaps because) of the fact that the two curators had opted for curatorial disseverance as their meta-structure. The composition of the LIAF curatorial team was itself 'curated', which showed the greater influence of the board leader Helga-Marie Nordby. Degot and Riff's collaboration became a dialectic device for airing antagonism or paradoxes in the curatorial premise and acted as a way of pre-empting criticism, but also addressing problematics in a way that did not foreclose them. At Momentum, this consisted of a solo effort by Ekroth in her catalogue essay and her generalised pontifications about the role of art in society, neo-liberal policies, Bologna, the Internet – interspersed with lengthy quotes from Lewis Carroll (freely retold) – could have benefitted from some clarifying conversations with an interlocutor. Whereas the curatorial choices deliberately jarred in Momentum, the loose conceptual framework of LIAF enabled a seamless transition between the works. Despite each curator throwing out their original proposal they ended up in charge of a section of the exhibition. However, this was not mentioned in any of the material, and the fact that it was unclear which section 'belonged' to which curator was testament to a united overall front. Symposia in both Bergen and Lofoten provided a discursive dimension for the exhibitions, and Lofoten, in particular, invoked some interesting Zeitgeisty topics such as the power of sleep as protest, estrangement and transition. The first day of Bergen Assembly's two-day symposium saw connections being made with the context of Norway, its welfare state and support for artists, but it felt somewhat laboured (pun intended). A charge levied at many an external curator is that they parachute in, and either merely import artists to a setting in which their work is less than relevant or else point out things – through commissioned works – that the locals were already well aware of. The balancing act is a fine one, and is often achieved by pairing local expertise with an external perspective; Vasif Kortun and Charles Esche's 2005 Istanbul Biennial is an example of such a successful collaboration. Momentum had the advantage that both curators had some connection to the area and to the country's art scene. Both Ekroth and Hammer explicitly considered previous editions of the biennial and the 2013 edition included a number of 'local' artists. Again their approaches were diametrically opposed: out of 13 artists, Ekroth included three Norwegians, while Hammer included only three non-Norwegians in his selection of 14 artists. In terms of communication, Momentum ran a blog, which enabled a running commentary on the show, largely from Ekroth, which offered an interesting insider's perspective on issues that arose during the process. LIAF's curatorial team had little connection to the stunning wilderness of Lofoten, although Bergen-based Szfer Karlsen was the closest of the three. However, LIAF had made considerable effort to anchor the biennial locally in terms of mediation, and had enlisted different kinds of people to act as docents (including a ten-year old boy from the local football club). It is worth making brief a note of the more pedestrian aspects of the three events in terms of their approach to local audiences and visitors. In terms of entrance fee LIAF was free for all, a ticket to Bergen cost 100 NOK, but was valid for the duration of the exhibition, and Momentum cost 40 NOK to enter. Bergen had a number of moving image works, which would have taken hours to see, so the unlimited re-entry was a sympathetic gesture; the lack of chairs for many films lasting closer to an hour was less so. In terms of international positioning, Momentum made reference to the Berlin biennial4 and so positioned themselves in relation to other biennials. Momentum also encouraged visiting the other Norwegian biennials/triennials and the Gothenburg Biennial, which also took place in 2013. In a more generalised way, Bergen explicitly rejected the world's fair style biennial and instead referred to it as a 'thematic group show'.5 However, Bergen had the added advantage of the brick anthology produced in 2009, which firmly situated the institution in a wider, historical context. This was reflected in the number of international art dignitaries who attended the opening of Bergen Assembly. LIAF's curators explicitly rejected any considerations of other biennials both national and international, choosing instead to focus on the specific local factors – history and geography – alongside more general socio-political concerns. Compared with the curators' firm grasp of the site of Moss, the Bergen curators invoked the somewhat tenuous comment by a Swedish minister that Norway was 'the last Soviet state'6 to enable links to be made with their own background from the Soviet Union. The inclusion of the work that really bridged the gap was Chto Delat's wonderful A Border Musical (2013), which contrasted the Russian mining town of Nikel and a small community in he Norwegian county of Finnmark. 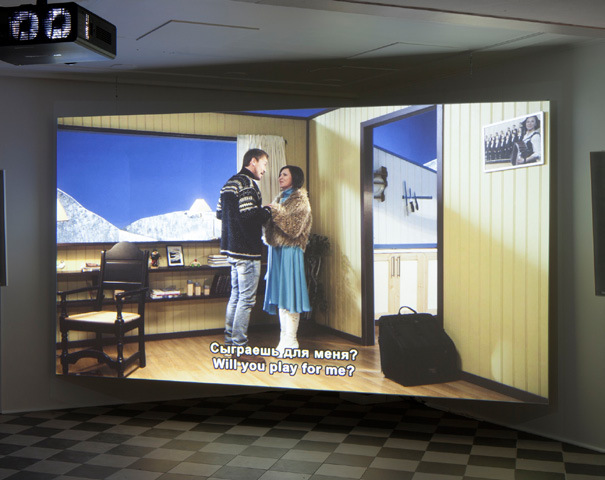 Works by Norwegian artists Ane Hjort Guttu's Untitled (The City at Night), 2013; Fadlabi and Lars Cuzner and Sille Storhihle/Jumama Manna were able to critically examine the Norwegian context and complicate the idea of Norway as the 'best country in the world'. Other works, such as Chinese Wong Men Hoi's film The East is Red (2013) which depicted interviews with Norwegian ex-Marxists, provided other contextual links to be drawn, as did Andreas Siekman/Alice Creischer In the Stomach of the Predator (2012-13) about the Global Seed Vault at Svalbard. Dora Garcia's reading group around Finnegan's Wake was a less accessible local initiative, but in general the number of commissions in Bergen enabled a mix of local and global concerns: at once able to transcend the local, but not ceasing to be relevant to the context in which it was set. Chto Delat, A Border Musical, Institute of Love and the Lack Thereof, Bergen Assembly 2013. Photo: Liz Eve. LIAF also saw a number of site- and context specific commissions. It only included two Norwegian artists, Knut Åsdam and HC Gilje, who both produced site-specific works, as did David Horovitz with his Stone Soup and Sinisa Ilic with his wall paintings, which were created on site, but could really have been done anywhere. In terms of more penetrating context-specific works it is worth noting Ann Böttcher with her drawings of trees and intervention at the Lofoten war museum; Pedro Gómez-Egaña's powerful installation The Maelstrom Observatory (2013); Laida Lertxundi with her new film shot in Lofoten; Britta Marakatt-Labba, who used Sami gaothi cladding with Nazi insignia; and Nana Oforiatta Ayim, who paired the Ghanaian and Norwegian oil industry. These works in LIAF were particularly effective in creating a balance between local and global concerns, and in many cases, melding the two. 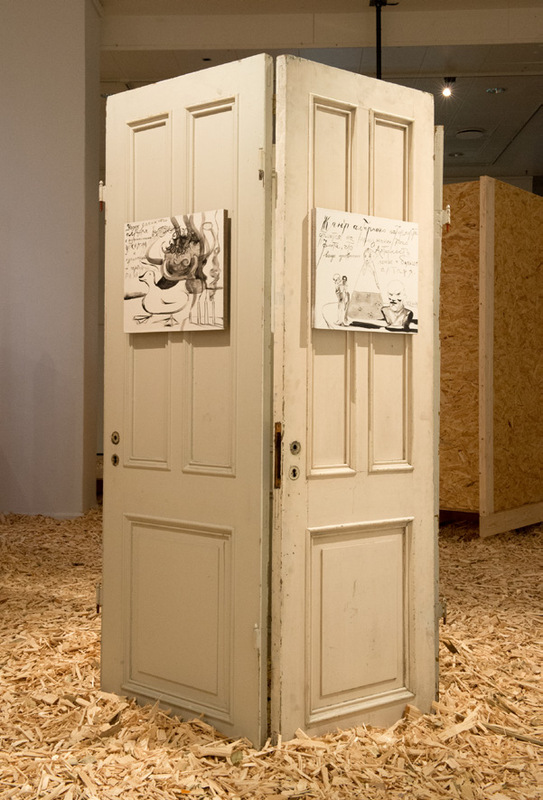 Britta Marakatt-Labba, Händelser i tid (2013), LIAF 2013. Photo: Kjell Ove Storvik. In addition to communicating with a local and international audience, events such as Momentum, LIAF and Bergen Assembly are about different forms of internal collaboration: between the curators and institution that commissioned them, between the curators in the team, and – most importantly – with the artists. It has been a long time since curatorial practice was about 'hanging'; instead it is a position one adopts in the world, a set of values one embodies. In relation to Momentum, Hammer commented: 'The only thing that really pleases me is to install' and 'I curate exhibitions visually.' This can be juxtaposed with the Bergen curators, who explicitly rejected a formalistic approach. At the press conference, Riff and Degot declared that their curatorial structure for Bergen Assembly was 'art work' in itself, but crucially this structure allowed space for the artists' work. Rather than use the artists as examples of their concept, they allowed the discourse to play out in the work, and to take different twists and turns as the artists chose. Cinéma copains' research into futures trading and Jan Peter Hammer's film Tilikum (2013) were exceptional examples of how effective artistic research can be as a means of communication. 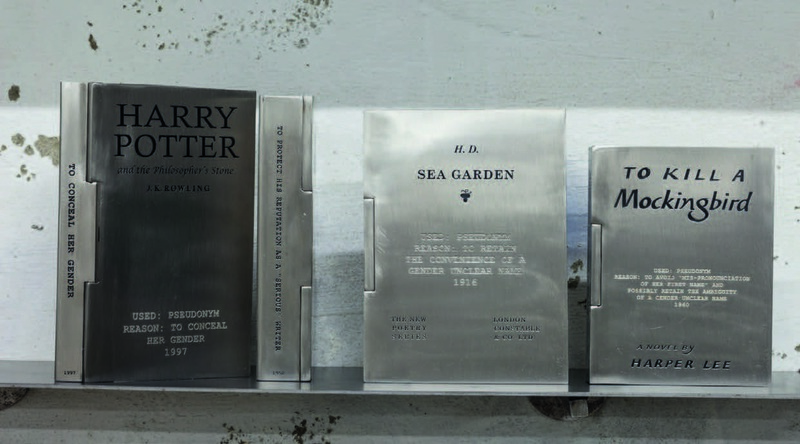 LIAF also included work which only loosely 'fitted' the overall concept: Shilpa Gupta's steel books entitled Someone Else (2011), written under pseudonyms embossed with the real name of the author and the reason for them adapting a nom de plume was – nonetheless – a wonderful work to encounter again. Shilpa Gupta, Someone Else – A library of 100 books written anonymously or under pseudonyms (2011), LIAF 2013. Photo: Kjell Ove Storvik. A telling aspect of Momentum is that the catalogue features an interview with the two curators, which is included as work of art in itself. The interview is solely focussed on Ekroth and Hammer, on their backgrounds, and their thoughts. It comes across and navel-gazing exercise and it does the artists no favours. In terms of the ethics of curatorial engagement, Momentum fell far below what one would expect of a curator. Part of the job is to present and mediate the artists' work to the public - not the curators' own meta-structure. This was far more sensitively approached in Bergen and Lofoten, where there seemed to have been genuine concern for presenting the artists' work and the relevancy they could have to different constituent communities. The work was awarded space to communicate on its own, and the curatorial commentary was there as aid to understanding. Sal 4, Momentum7. Photo: Vegard Kleven. One thing that was striking after this relative plethora of Norwegian art events was the lack of so-called 'biennial artists'. There were only a couple of overlaps between the three: Pedro Gómez-Egaña, who had work in both LIAF and Bergen, and Clemens von Wedemeyer, whose films were included at Moss and in Bergen. The variations between the curatorial approach and the diverse work shown in Moss, Lofoten and Bergen show that maybe a country of barely five million people can sustain – and benefit from – three such large-scale international art events, particularly given the substantial geographic distances between them, and the purpose they serve in terms of dispersing cultural consumption beyond the capital of Oslo (another important political issue in Norwegian social democracy). Funding for the events stemmed from a mix of local council and state subsidy – culture being a touchstone of the welfare state – although, the size of the budgets varied between each location (Bergen benefitting from the largest investment). 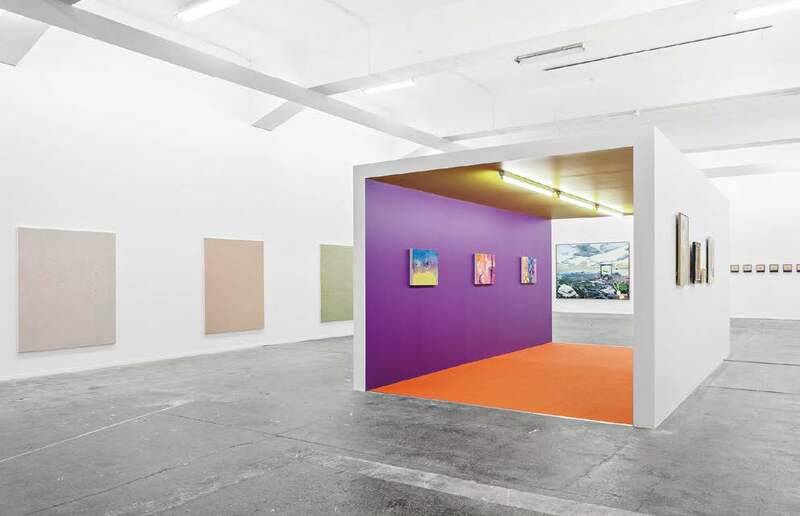 It is clear that, within the landscape of Norwegian contemporary art, such art events serve an important function as a showcase for encountering international artists and curatorial strategies. Moreover, 'local' artists are better served by being placed in a broader international framework of contemporary art supported by a considered curatorial concept that mediates their work in a way that does not foreclose interpretation - and serving the artists, the locality and opening up to different constituent audiences is surely fundamental to the ethics of any curatorial collaboration? 1 Interview with Bassam El Baroni and Anne Szefer Karlsen by Sissel Lillebostad. Lofoten 6 October 2013. 2 Ekatarina Degot and David Riff, 'We were nearing our destination' in Monday Begins on Saturday, eds. Degot and Riff, ex. cat. (Bergen Assembly/Sternberg Press, 2013), p. 23. 3 Power Ekroth, 'Notes from the Superstructure' in Six Impossible Things Before Breakfast, ed. Ekroth (Moss: Punkt Ø, 2013), p. 9. 4 David Riff, press conference, Bergen Assembly, 29 August 2013, Bergen Public Library. 5 Bjørn Rosengren, 'Norge er den siste sovjetstat. De er så utrolig nasjonalistiske. Alt er politikk.' Aktuellt torsdag kveld, Swedish TV, 1999. 6 Ekatarina Degot and David Riff, 'We were nearing our destination' in Monday Begins on Saturday, eds. Degot and Riff, ex. cat. (Bergen Assembly/Sternberg Press, 2013), p. 23.